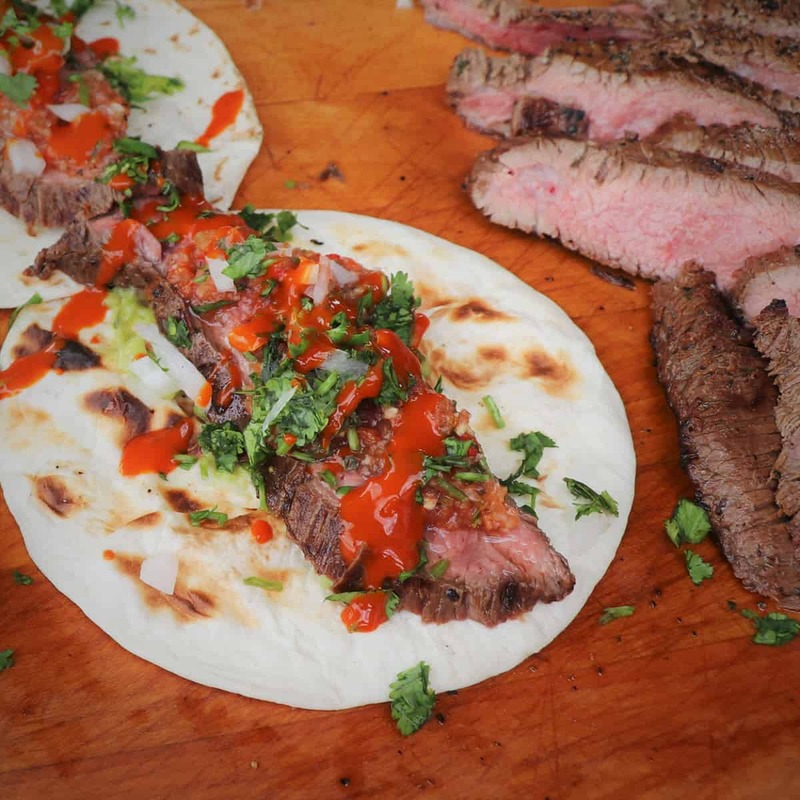 Flank steaks are marinated in a tequila lime sauce, grilled, then served with homemade fire roasted salsa in a taco. 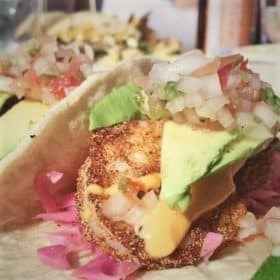 Topped with fresh guacamole, onions, and hot sauce, these tacos are irresistible. 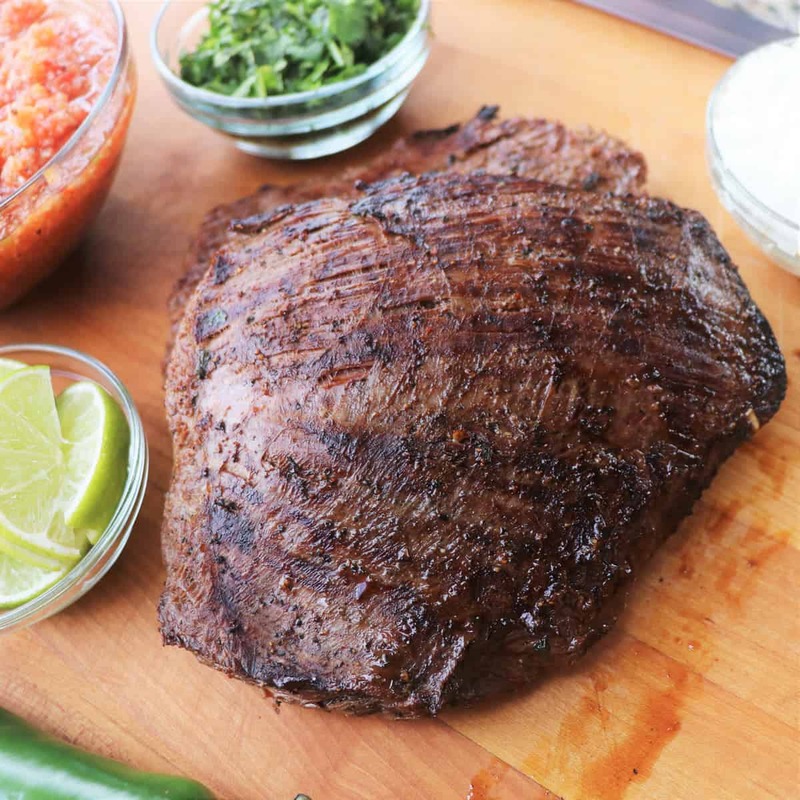 To save time, prepare the salsa while the steaks marinate in the refrigerator. Your grill will be nice and hot by the time you are ready to cook the steaks. Roasting all of the vegetables on the grill before preparing the salsa gives it a nice smoky flavor. Make sure to the let the veggies cool before you handle them and place them in a food processor. Combine the Worcestershire sauce, olive oil, water, tequila, lime juice, cilantro, garlic, salt, pepper, and cumin. Set aside. Prepare a grill for direct cooking over lump charcoal. 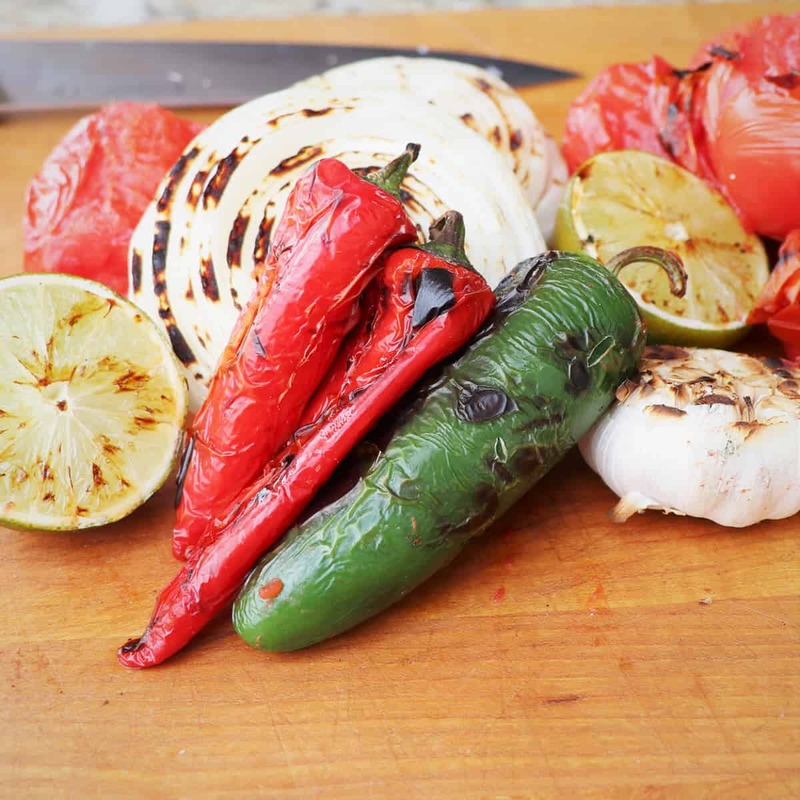 Place tomatoes, onion, peppers, garlic and lime on the grill and cook until the outer skins char, turning often, 5 to 10 minutes. Cool on a cutting board and roughly chop. Add the vegetables to a food processor along with the cumin, salt, and pepper. Pulse until the ingredients are combined. Pour salsa into a bowl and refrigerate for one hour. Add the cilantro before serving. 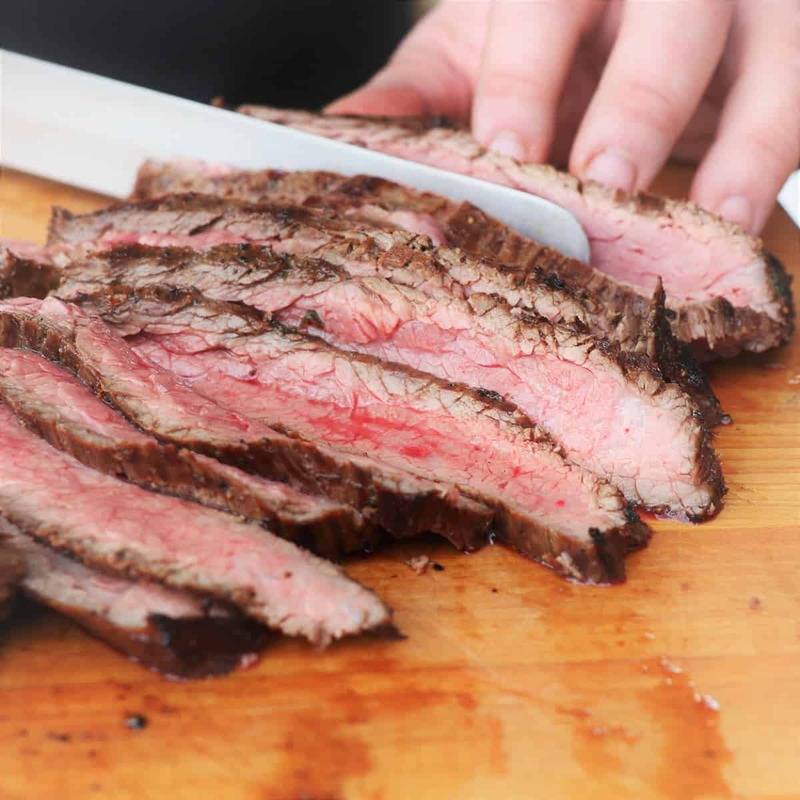 Place flank steaks in a gallon sealable plastic bag and pour 1 1/2 cups marinade over. Seal the bag, removing as much air as possible. Rest in the refrigerator for 2 hours. 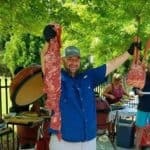 Prepare a charcoal grill for direct grilling with 2 chimneys of charcoal. Remove the steaks from the marinade and drip off excess. Season with salt and pepper. 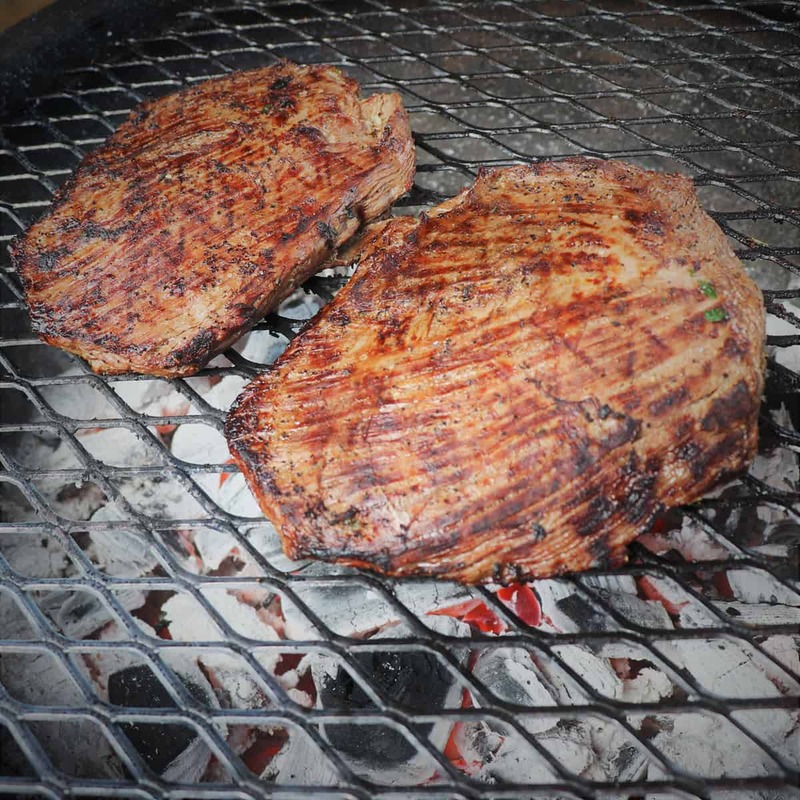 Grill each steak close to the coals for 1 1/2 minutes per side. Raise the grill grate away from the coals and continue to cook to desired doneness, 125 degrees F (52 degrees C) for medium-rare. Rest the steaks for 5 to 10 minutes, loosely tented with foil. 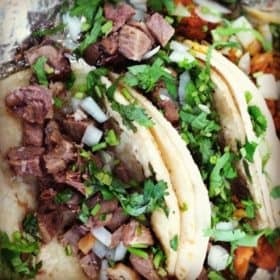 Place the tortillas on the grill grate and warm for 30 seconds on each side. Slice the steaks across the grain into thin strips. Spoon guacamole on the tortillas, followed by strips of flank steak. Top with the salsa, onions, cilantro, a squeeze of lime, and a few dashes of hot sauce.